Ideally located, Oure Tera Beach Resort is set on one of the world’s top 10 beaches, Kuto, at Kanumera Bay on the Isle of Pines. Facing the soft sands of the beach and the azure ocean in the west, the hotel backs onto a rocky cape at the end of the Kanumera Bay beach stretch making a perfect setting to enjoy a New Caledonian sunset! 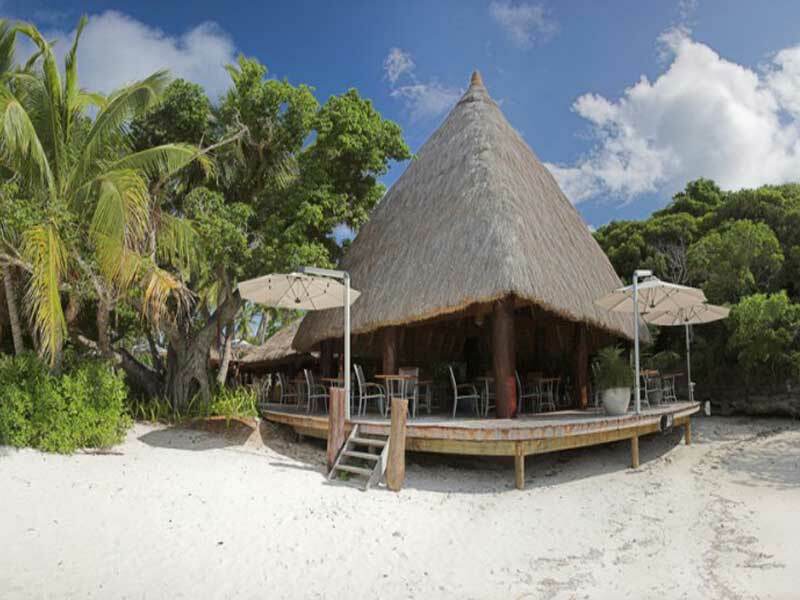 A perfect combination of tropical surroundings and Melanesian traditions on an idyllic island setting, is Oure Tera Beach Resort. The prime location offers easy access to one of the best beaches in the world that is perfect for a refreshing swim! Take a short walk along the white sands and find vibrant coral reefs that are home to an abundance of colourful tropical fish – an ideal opportunity to take advantage of the resorts complimentary snorkelling equipment! Alternatively, laze around the resorts swimming pool and make use of the beach towels and deck chairs available to you. Explore your surroundings in one of the resorts complimentary canoes or hang out indoors and play a game of table tennis. 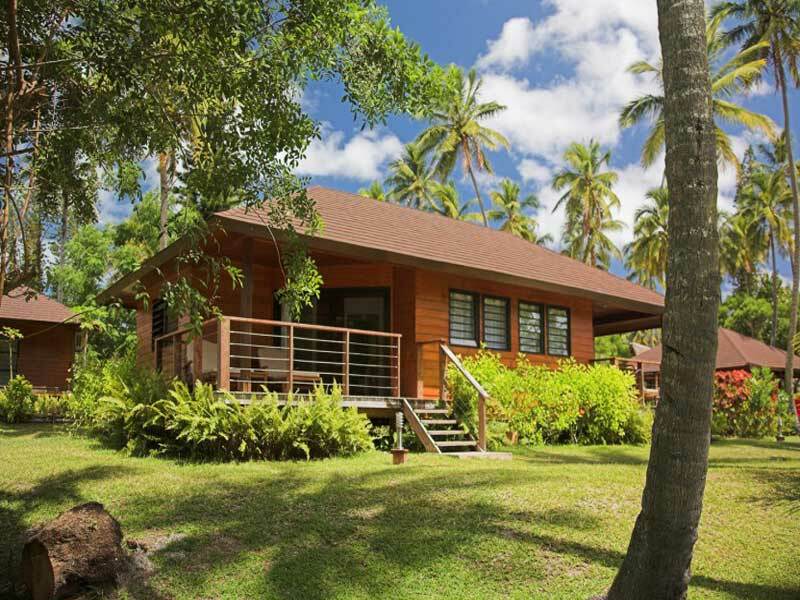 There are 30 spacious and traditional bungalows scattered around Oure Tera Beach Resort. Some offer magical views of Kanumera Bay while others are nestled amongst the resorts tropical gardens. 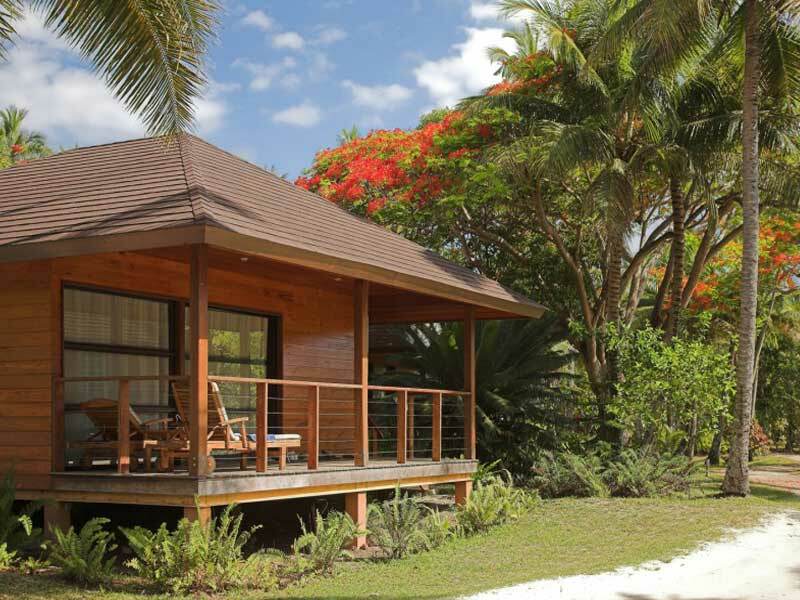 Despite their traditional appearance, the bungalows are complete with modern luxuries to enhance your New Caledonian experience. Stay cool in the air conditioning, kick back in the living and dining area and make yourself a fresh cuppa with the tea/coffee facilities! 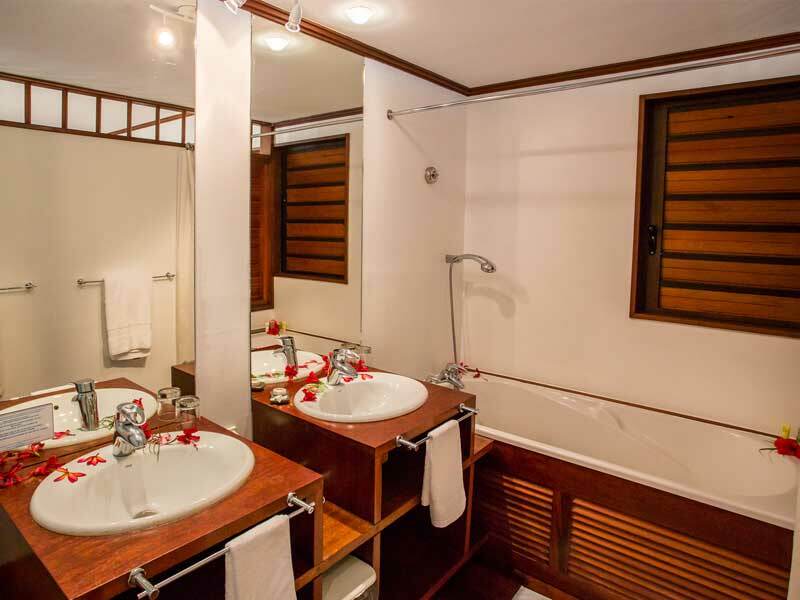 The bungalows at Oure Tera Beach Resort can cater for any traveller too, whether you’re a couple on a romantic escape or a large family needing multiple beds! Why Go to Oure Tera Beach Resort? As if being located on the picturesque Isle of Pines and on one of the world’s best beaches isn’t enough reason to stay at Oure Tera Beach Resort! The pristine waters of Kanumera and Kuto Bays are just steps away offering incredible swimming and snorkelling opportunities. You may even be lucky enough to spot dolphins and dugongs that are common visitors to the bay. If that doesn’t win you over, a stay in one of the traditional bungalows surely will. The traditional style accommodation provides a traditional Melanesian ambience without sacrificing on the luxuries of a 4-star resort. Guests have access to a range of resort facilities! Take a dip in the swimming pool, work on your tan on the deckchairs, take a canoe out on the waters, utilise the snorkelling gear or challenge your travel companions to a game of table tennis! 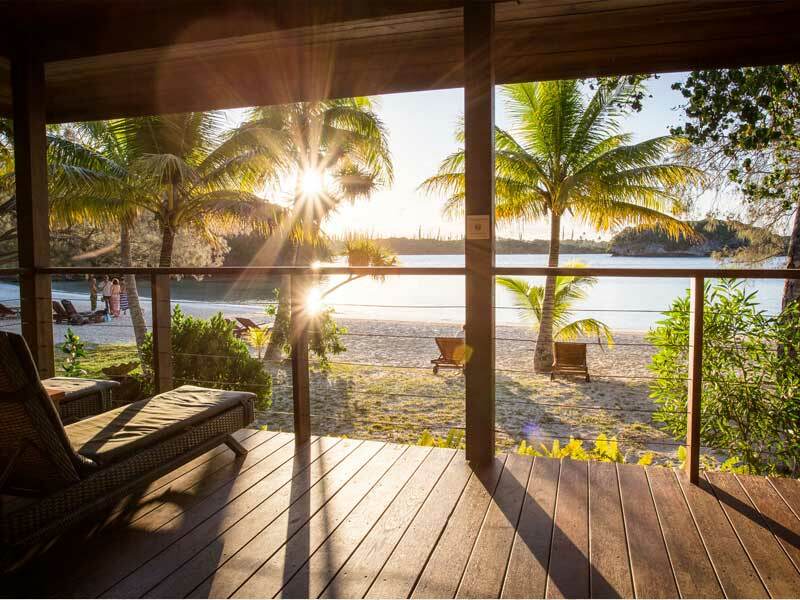 If this sounds like your perfect holiday to New Caledonia, give us a call now on 1300 000 225! Please Note: Some features may incur additional charges. Designed as doubles, the Standard Garden Bungalows are interconnecting, providing the perfect option for travelling families! Nestled amongst the tropical gardens of the resort, these bungalows are air conditioned and complete with a range of modern amenities. Choose between a king-sized bed or a twin bed configuration and if required, request a cot for the little ones at no extra charge. Inside there is a kitchenette with fridge, kettle and tea and coffee making facilities, a living area with TV and telephone and bathroom with a bath/shower. 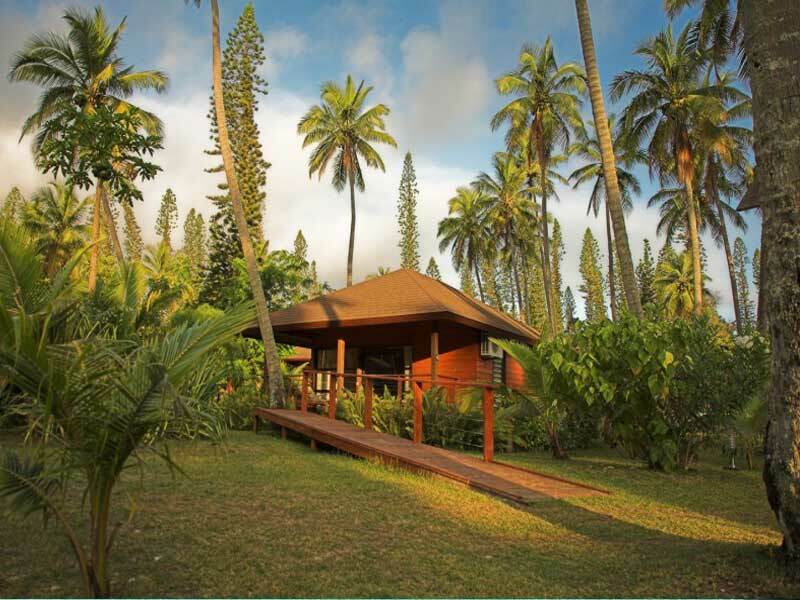 Situated in a gorgeous tropical garden setting, the Tropical Bungalows offer a perfect combination of tranquillity and beauty. The inside features bathrooms with separate bath and shower, kitchenettes with a fridge, kettle and tea/coffee making facilities and a sleeping area with your choice of a king-sized bed or a twin bed configuration and a TV. These spacious bungalows are air conditioned. Disabled accessible rooms and cots for infants can be requested for no additional charge! Unquestionably the most perfectly located bungalows at Oure Tera Beach Resort, the Beachfront Bungalows offer incredible views of Kanumera Bay. 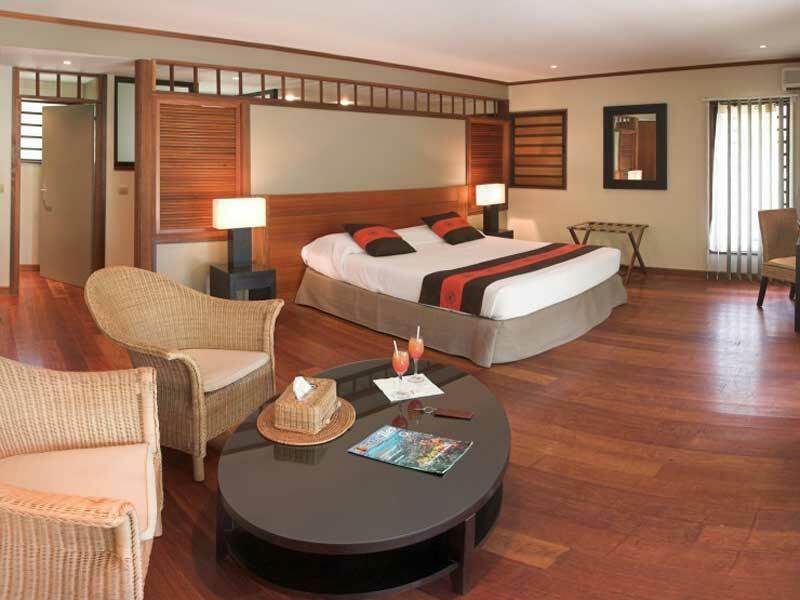 The bungalows themselves are air conditioned and complete with a selection of modern luxuries. Choose between a king-sized bed or twin bed configuration depending on your travelling party. If you’re travelling with an infant, you can request a cot for no additional charges! There’s a bathroom with separate shower and bath as well as a kitchenette/living area with fridge, kettle, tea/coffee making facilities and a TV. 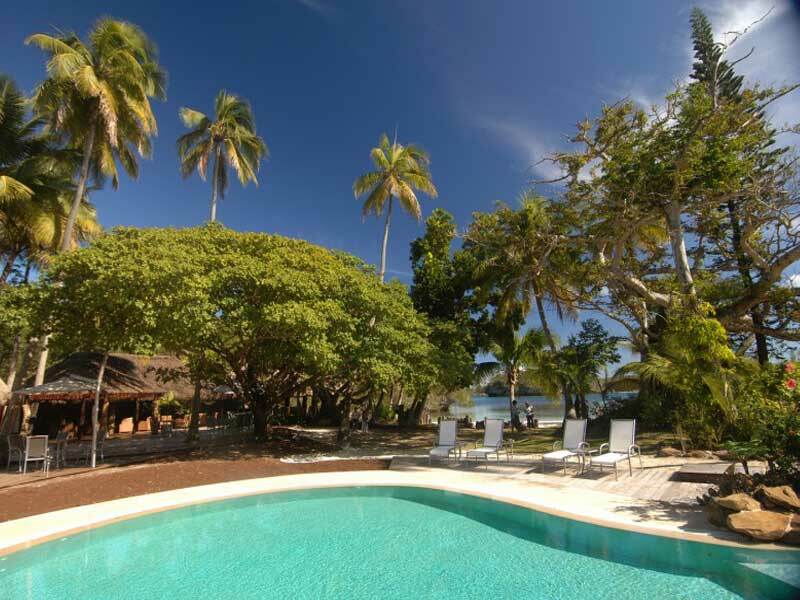 Oure Tera Beach Resort is located just steps away from Kanumera Bay and Kuto Beach on the stunning island, Isle of Pines. One of the world’s best beaches is right at your doorstep as is the Kuto Bay wharf. 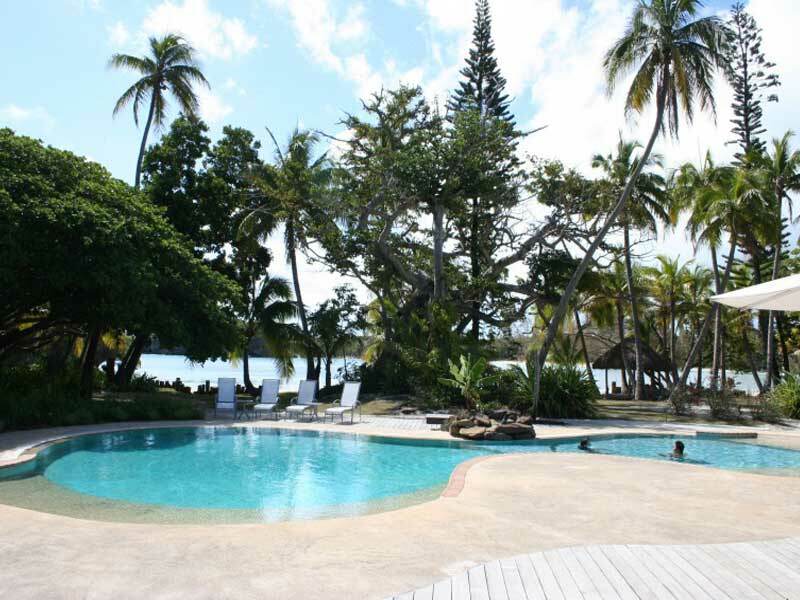 7-kilometres away you’ll find the Isle of Pines Domestic Airport where you can fly into from Noumea. Otherwise there is a high speed ferry boat that links between the island and the mainland three times a week. While at Oure Tera Beach Resort guests can take advantage of the prime beachfront location on Kanumera Bay and Kuta Beach. The waters offer a perfect swimming spot as well as coral gardens to explore with the resorts complimentary snorkelling gear or explore the bay without getting wet and make use of the resorts complimentary canoes. Relax in the swimming pool or work on your tan on the deckchairs. Sink your teeth into scrumptious island cuisine with freshly caught seafood, including the famous Isle of Pines lobster. You can venture away from the resort and discover everything else the Isle of Pines has to offer. There are multiple scuba centres offering dive lessons and tours. A visit to Oro Bay is a must and can be organised easily, just ask reception! If you want to head to the mainland and discover what Grand Terre has to offer there are flights from the Isle of Pines domestic airport as well as a high-speed ferry that links between the islands. This resort has nice clean rooms, a tropical atmosphere, fantastic beaches and a beautiful landscape. Very good French meals for dinner and an impressive barman offering surprising and amazing cocktails. This is a fantastic place to stay!